The deceased include a 55-year-old woman, three girls aged 15 months to 5 years and a 5-year-old boy, said police officials. 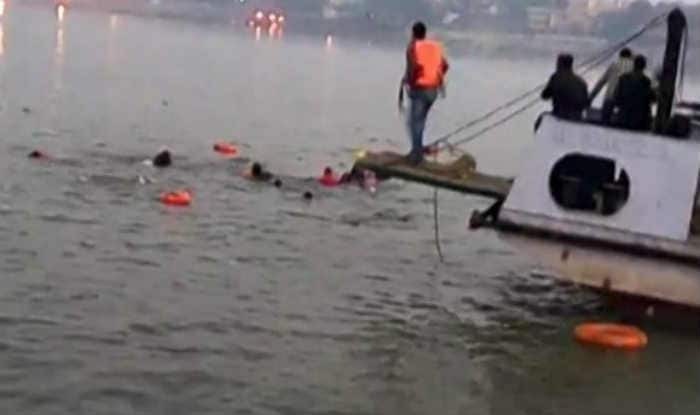 Nandurbar: At least five persons, including four children, drowned and 39 others were rescued after a boat capsized in the Narmada river in Maharashtra’s Nandurbar district on Tuesday. The deceased include a 55-year-old woman, three girls aged 15 months to 5 years and a 5-year-old boy, said police officials. Reportedly, the victims had gone to perform a river worship ritual on the occasion of Makar Sankranti, an official said. At least three persons are still missing and search operation for them is going on, he said. The boat was ferrying around 60 people when it capsised. A rescue operation was underway, with the help of police, fire brigade, local disaster management cell and district administration, he said. The deceased hailed from Bhusha and Dhadgaon villages in the tribal-dominated district in north Maharashtra, police said. Prima facie, it appears that the incident occurred as the boat was carrying more number of people than its capacity, police said.